As we reported recently, difficulties can arise when long periods of “wind drought” cause energy-producing wind turbines to come to a standstill. At that time, the UK was dealing with a week of calm resulting in a two percent drop in power generation. Now, conditions in Britain have far from improved and the turbines have been still for the past six weeks due to wind shortages. According to the Daily Mail, the cause of the wind shortage is a large area of high pressure hovering over the UK. Coincidentally this is also what’s behind the unusually warm summer that Scotland, Ireland, and Britain are currently experiencing. 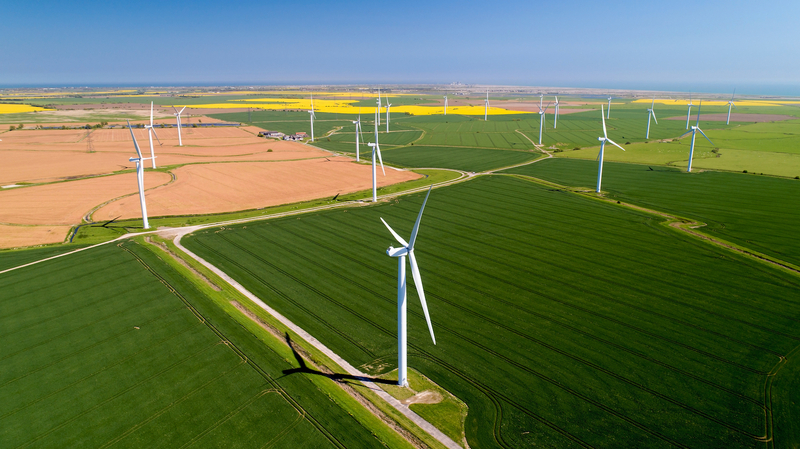 This month, generation of electricity dropped by 40 percent and was 30 percent lower compared to how much energy wind generated last year during this time, even with new wind farms and advancements in wind power technology in the UK. One good thing about the wind shortages is that it’s happening during the summer when electricity needs are relatively low. However, the wind drought and its low production has many concerned about switching all energy needs to renewables. If the UK and other countries are to become 100 percent dependent on renewables, then there must be strategies in place for periods like this, when low wind affects energy production. Although solar power was able to pick up some of the slack from the drop in energy from wind turbines, according to the Daily Mail, it simply is not enough to fully compensate for the energy wind turbines produce. Last year, wind energy provided 15 percent of Britain’s power, twice as much as coal, but this year those numbers dropped to less 2 percent on June 2nd. Hopefully, as dependence on renewables increases and advancements continue, wind shortages like this will not have the same dire effect that they do currently.